We know that now that the weather is getting colder there is nothing better than a a cup of tea! 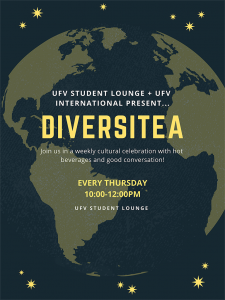 The UFV Student Lounge and UFV International have partnered together to bring you DiversiTEA. 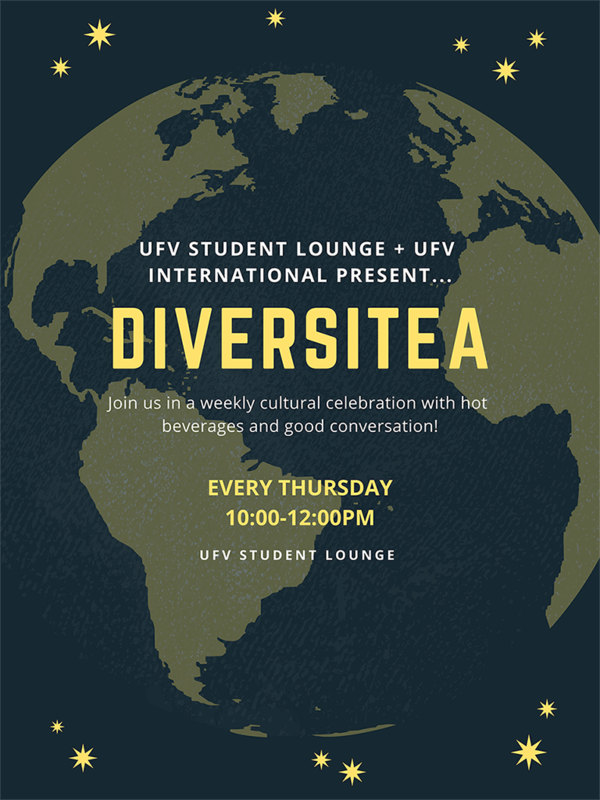 Join us every Thursday from 10:00 – 12:00 pm in the UFV Student Lounge to learn from and share cultures. Everyone is welcome!